Three members of the Catholic Writers Guild were interviewed by Doug Keck for EWTN’s Bookmark last year at the Catholic Marketing Network Trade Show near Chicago. I speak about my fifth book, A Subtle Grace. Ann Margaret Lewis speaks about her book, The Watson Chronicles and Margaret Realy talks about her Catholic gardening books. 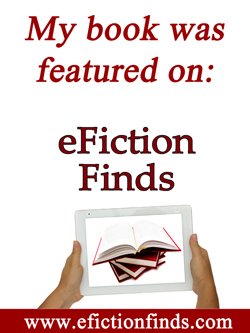 Awards Contests for Self-Published Authors: Are They Worth It? My latest post for the Catholic Writers Guild blog is about awards contests and whether they are worthwhile. This list doesn’t claim to be all inclusive, but it is helpful. And be aware that most of these contests require an entry fee. 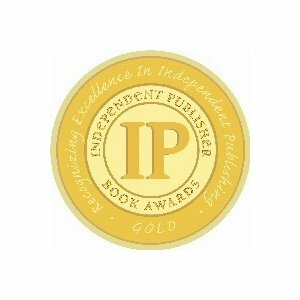 Another awards contest that CWG members have been quite successful with is the Independent Publisher Book Awards (IPPYs). In 2010, my Catholic historical romance, In Name Only, won the Gold Medal in the Religious Fiction category and CWG President, Ann Lewis’, book Murder in The Vatican: The Church Mysteries of Sherlock Holmes, won the Gold Medal in 2011. Other CWG members have won Bronze medals for their novels in past contests. As well, CWG member, Karen Kelly Boyce, recently won the Eric Hoffer award (in commercial fiction) for her novel, Down Right Good. The question is: are awards worth it? Awards are certainly affirmation that we are producing quality books. But do they sell books? The archbishop wasn’t the only one who stopped by my table after I mentioned that my book had won a gold medal. During the next three hours, more than 40 people lined up at my table to buy my book. While medals may help to sell books at conferences, I have to admit that the award didn’t make much difference in my online sales (in fact, I didn’t see any spike in sales following the medal announcement). Even so, winning an award is an incredible honor, an invaluable addition to a resume and it increases personal one-on-one sales. So…what do you have to lose? The cost of the registration fee. Nothing ventured, nothing gained. Contests are definitely worth it. 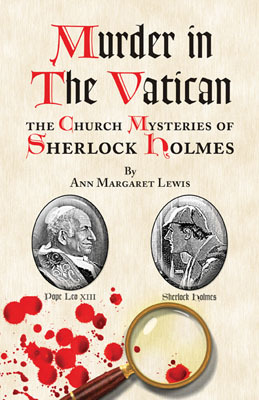 Today’s Fiction Friday excerpt is from Ann Margaret Lewis’s Gold Medal winning book, “Murder in the Vatican: The Church Mysteries of Sherlock Holmes.” My Catholic Fiction review is here. The novel’s website is here. Thank you, Ann! Pope Leo blanched as well. Tapping his right fist in his opposite hand, he turned to look out the window behind him. The rain clouds had now blotted the sun, making it seem as dusk in the early afternoon sky. Father Dionisio came quickly to his master’s side. Hurriedly, the young man unbuttoned his cassock even as Leo unbuttoned his own. Holmes came around the table and knelt to help Leo with the lower buttons. “What on earth —?” I asked. Dionisio removed his cassock and stood in simple black shirt, clerical collar and black trousers. Holmes helped Leo slip out of his white cassock and into the black gown provided by Dionisio. The black was almost the right size, though fuller through the midsection due to Dionisio’s thicker frame. “Basta.” Leo pulled the young man from the ground by the elbow. He gestured emphatically with an open hand to the top of his head. “Portami un cappello. Presto!” Dionisio dashed into the next room. “And black stockings and shoes—ah, never mind I’ll find something.” The pontiff marched with remarkable energy into a side room that I guessed to be his sleeping area and returned promptly with black calf-length boots. His gentleman servant now trailed him protesting in rapid Italian as His Holiness moved. While the pontiff sat on a small bench to kick off his red slippers and pull on the boots, the agitated servant knelt beside him rambling so quickly that neither Harden nor I could decipher any meaning from him. Apparently the meaning didn’t register to Leo either. “Basta, basta, BASTA!” He barked, stomping his boot-covered foot. He pointed a thumb to his chest. “Ego sum Petros!” He made sweeping gesture to drive the man from in front of him. “Vai!” Struck with terror, the butler dodged from the old man’s path as Leo charged to a baroque style cherry wood cabinet. From it he removed a worn, black leather case that he tucked under his arm. He finished buttoning his cuffs and Dionisio returned with a small, wide-brimmed black hat, which Leo snatched from him. He then plucked off his white zucchetto and slapped it into the bewildered priest’s hands. “You’ve forgotten one detail, Padre,” said Holmes, in reference to the pope’s new attire. “L’anello.” Holmes held up his right hand and pointed to his fourth finger. “Ah.” Leo pulled the fisherman’s ring from his finger and dropped it into the left pocket of the black cassock. The young priest then handed him a tall black umbrella, and Leo set its end to the floor with authoritative thud. It is amazing how clothes can change the appearance of a man. Where once stood the proverbial Vicar of Christ on Earth, now stood a simple, venerable Italian priest. Strangely, he resembled the aged Italian cleric persona Holmes once adopted to avoid the notice of Professor Moriarty.